Dr Michelle Carey – General Manager – IMDEX Product Development looks back on the last 30 years in changes of mineral exploration procedures and the challenges of the future. 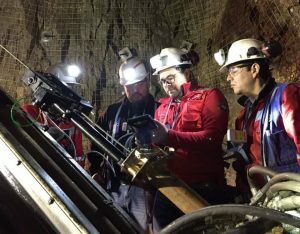 Collaboration between two leading mining software providers, MICROMINE and IMDEX, has brought together detailed geoscience analytics with sophisticated 3D modelling and mine design software to enhance the geological modelling workflow. Recently IMDEXHUB-IQ™ was named by Jim Young from Mining Magazine as one of the top five best software packages powered by cloud computing for mining geologists.